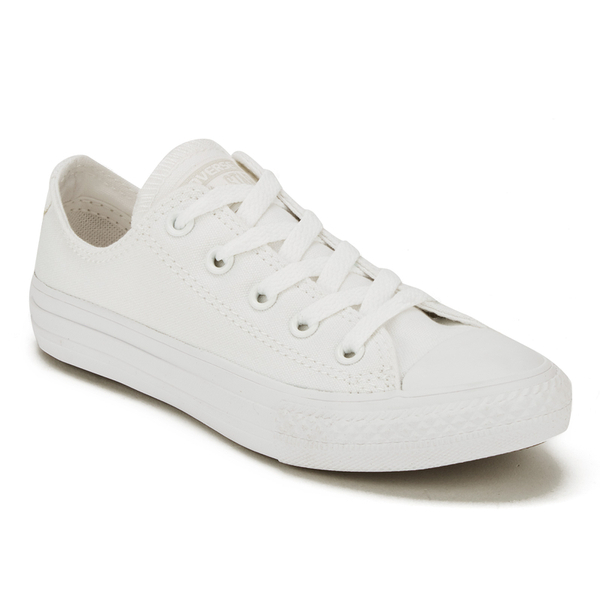 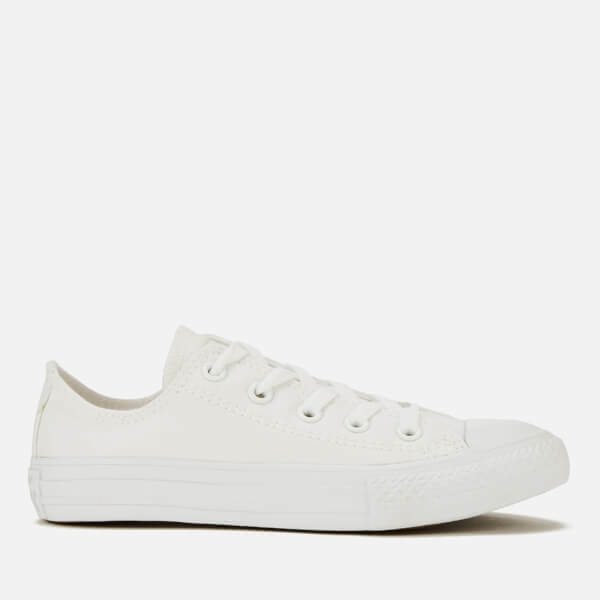 Converse Chuck Taylor All Star Ox trainers for kids. 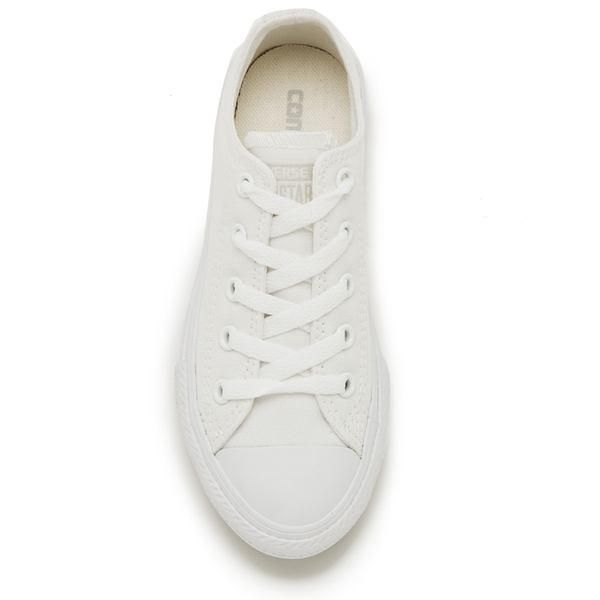 Crafted with a canvas upper, the monochrome design comprises a lace up fastening with tonal eyelets and laces and a signature rubber toe cap. 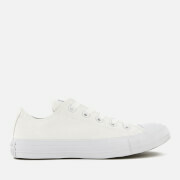 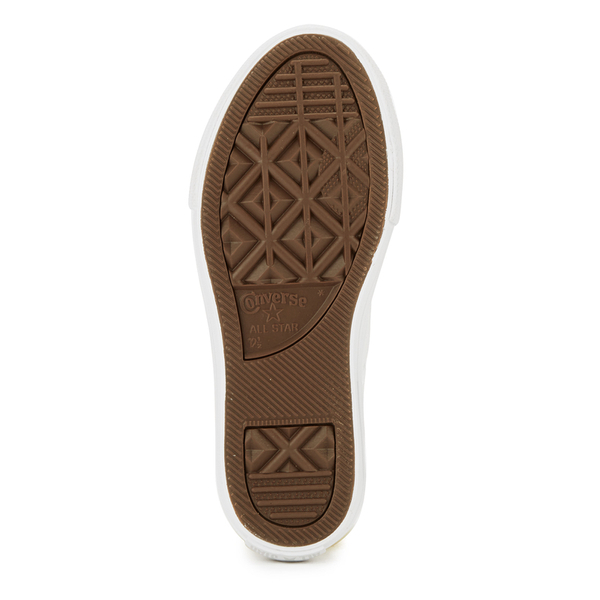 Placed upon a textured rubber sole, the low top sneakers are complete with a woven label stitched to the tongue and classic Converse license plate branding to the rear.